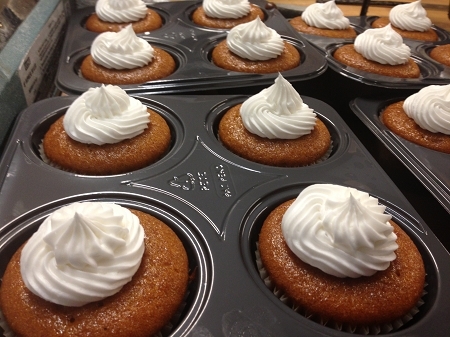 Gluten and Dairy Free Enjoy the taste of Pumpkin Cupcakes, made with real Pumpkin Puree! Allergens: Egg, Corn, Soy (in Frosting) Frosting may ship separately during Summer months. May NOT look like the picture! Items are SEASONAL and not available all year round.